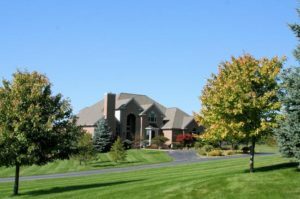 Situated in beautiful Scio Township, The Downs is an estate style neighborhood with Dexter schools. There is currently 1 home listed for sale and so far this year, 0 have sold. In 2016, 1 home sold. $987,000. 2720 Walters Way, Ann Arbor. 4117 sq. ft., +1971 in finished lower level, 5 bedrooms and 3.2 baths. Due to the small size of this subdivision, typically only 1 home sells per year. To view more market statistics, a neighborhood description and photos, visit The Downs web page. For more information on current listings and home values, contact the Real Estate specialists with The Bouma Group at 734-761-3060 or email info@bouma.com. View more Ann Arbor Neighborhoods here!